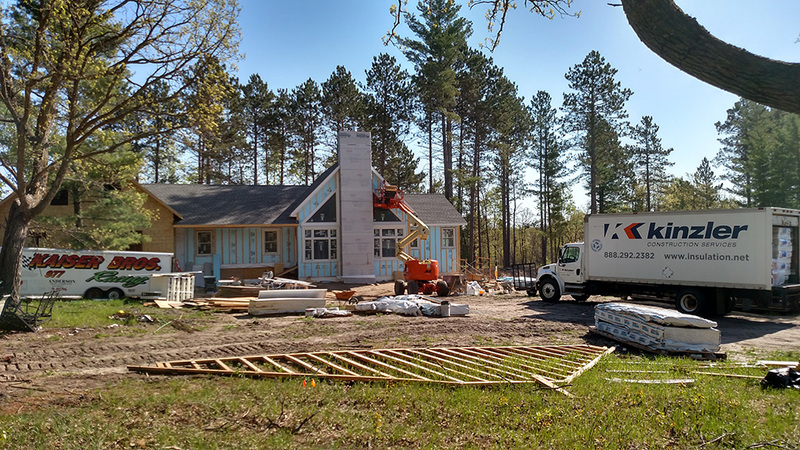 Check out this beautiful home Kinzler Construction Services insulated for Duane Kaiser in Bemidji, MN! Krause Anderson is the Project Manager who modeled the thermal envelope based on a project Kinzler did for them previously at Itasca State Park. The exterior walls have two inches of exterior foam board, two inches of closed cell spray foam capped off with an R11 batt for a total insulation value of R35. The vaulted roof received 12 inches of open cell spray foam for an R60. Kinzler crews installed R60 blown fiberglass in the attic areas as well. This is one well insulated home!